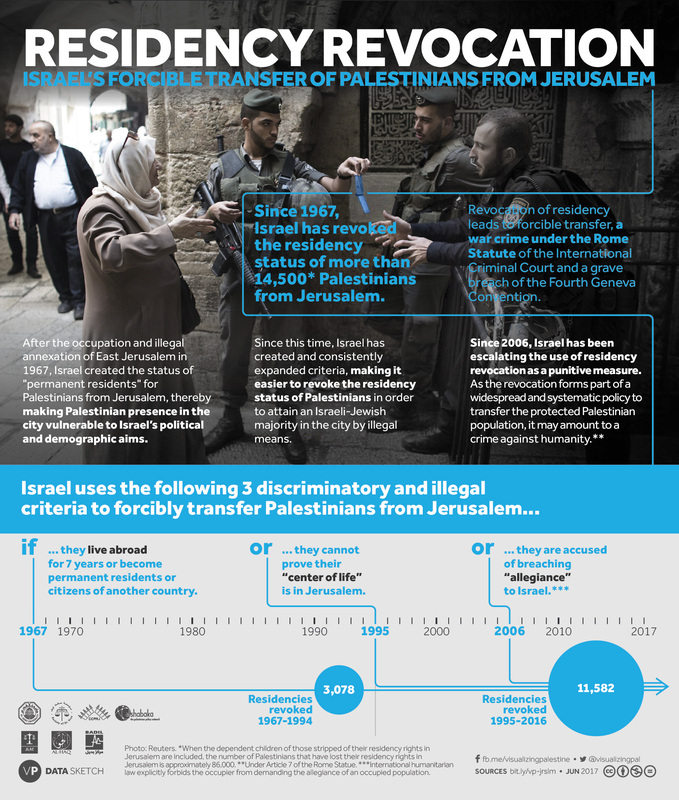 The second infographic focuses on the unlawful Israeli policy of residency revocation targeting Palestinians from Jerusalem. 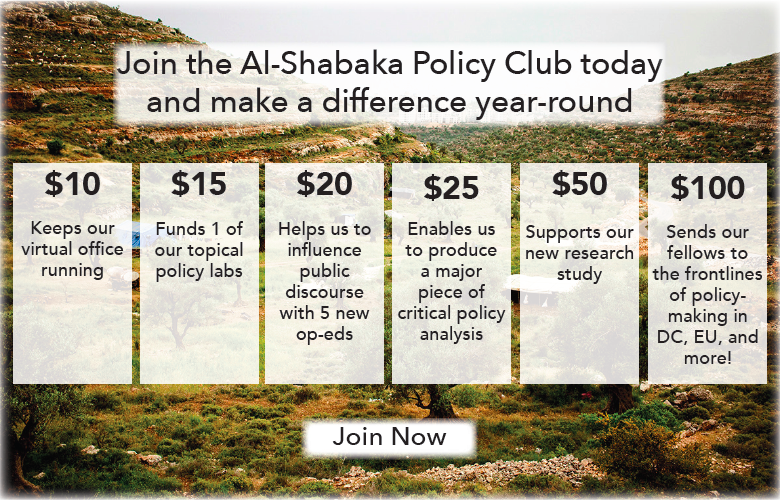 The revocation of permanent residency status is the most direct tool used to forcibly transfer Palestinians from occupied East Jerusalem, so that a Jewish-Israeli majority can be maintained in the city. 1 Since 1967, Israel created and consistently expanded the criteria for revoking the residency status of Palestinians, leading to the revocation of the residency rights of more than 14,500 Palestinians from Jerusalem to date. About the Initiative: Seven Palestinian organizations (CAC-Al-Quds University, JLAC, the Society of St. Yves, Al-Haq, BADIL, the Civic Coalition for Palestinian Rights in Jerusalem and al-Shabaka) collaborated with Visualizing Palestine to create a series of visuals on the situation in occupied East Jerusalem. The graphics aim at raising awareness of Israel’s apartheid policies in the city, its effects on the Palestinian population, and the gross violations of international humanitarian and human rights law that arise as a result of such policies.